Black Friday and Cyber Monday here in the UK at Habitat is no doubt going to be a real winner when it comes to amazing deals, and to be sure not to miss out when these bargains go live remember this page. The Habitat Black Friday sale offers will be listed here when they go live each year. Shoppers can choose many items such as textiles, furniture, lighting, upholstery and more. Maybe you are looking for that perfect Habitat Hendricks sofa, or some sort of raft furniture, folding chairs or discount codes for lights. Whatever you are looking for, here is where the top deals will be listed. Habitat Black Friday UK deals have proven to be a success with past offers including 25% off all Christmas lighting and decorations as well as 20% off of absolutely everything when applying a promotional code. In the past Habitat have provided discount codes such as SANTA25 during its Black Friday sale to give their customers 25% off, wonder what they will offer this year? Please do visit the official Habitat website because when the deals go live this is where you will see them. 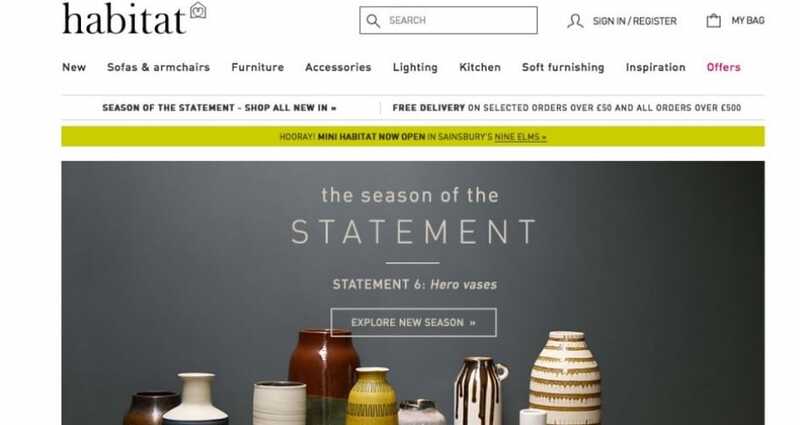 Habitat will be taking part in Black Friday this year, just had an email to confirm this. If you are looking for a new garden chair you may want to check out the Miya teak garden chair normally priced at £120, buy today for just £60 – that’s 50% off guys and girls. I am very much loving the Achille Ash plywood ceiling Light Shade priced at £75, but I might as well wait for the sale to begin next month. I have seen the perfect Hendricks stone leather 3 seater sofa online and it is priced at £2,600. Should I wait until the Black Friday sale begins in November in the hope i get money knocked off?